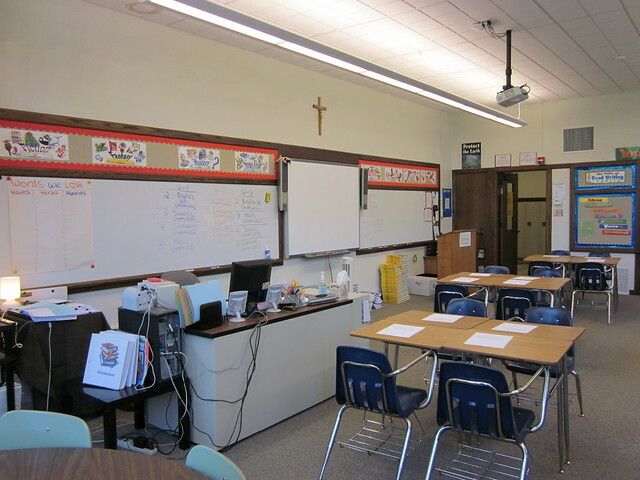 Michigan public schools don't go back to school until after Labor Day but since I teach at a Catholic school, we don't have to follow that law. 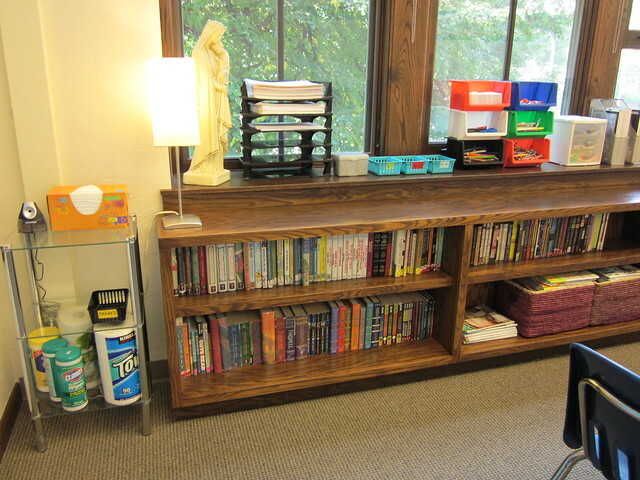 I'm just lucky enough that I happen to teach at a Catholic school that always starts after Labor Day. A lot of private schools in the area start before Labor Day. Of course, for me and most teachers in Michigan, the coming of Labor Day always marks the end of summer, which is always a bittersweet time. 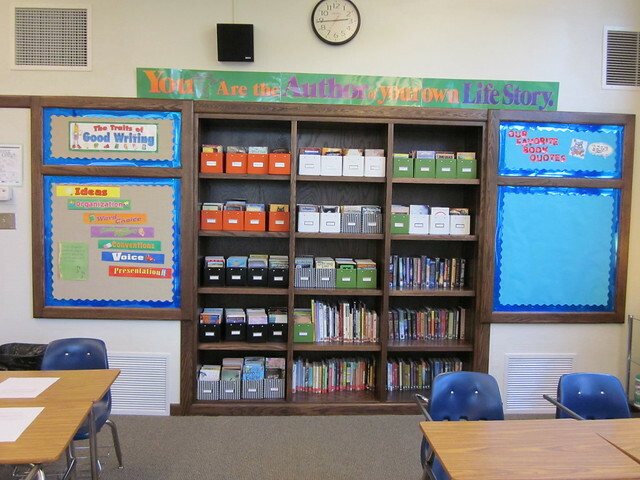 I've been going back and forth to my classroom for over two weeks now and today I can say it is finally finished and ready for students. 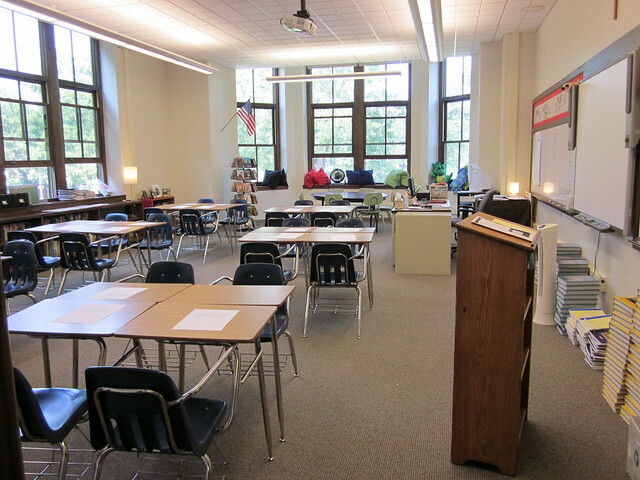 I always love going to my classroom before school starts to work on getting it ready. It speaks of new beginnings and anticipation for the year ahead. What will my students be like? Will this be a fun year? A difficult year? An exhausting year? Last school year was my reward for the four previous years that had been incredibly exhausting. As a new teacher I finally hit my stride at year five and I was also rewarded with an amazing group of kids who worked so well together that they made my life such a breeze. We'll have to see what surprises this year brings for me. Hopefully my new students will find my classroom a safe and nurturing environment and it helps them to grow as students and as people. 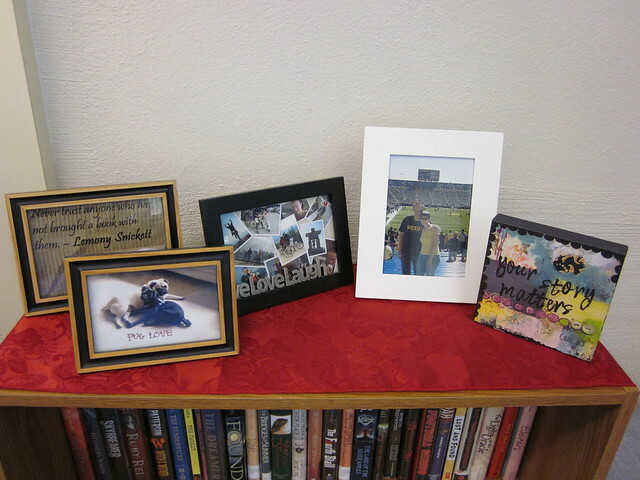 I know this room has watched me grow leaps and bounds in the last five years. 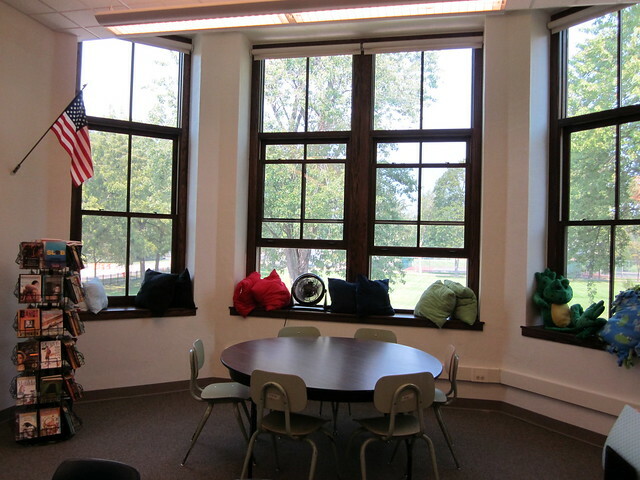 I love all the windows in my room! In fact, the lights are on in this picture, but most of the time they're off because it gets so much light. I inherited this from our school librarian who didn't want it anymore. I gladly took it for my paperback overflow! Graffiti wall idea I got from Donalyn Miller on Twitter. 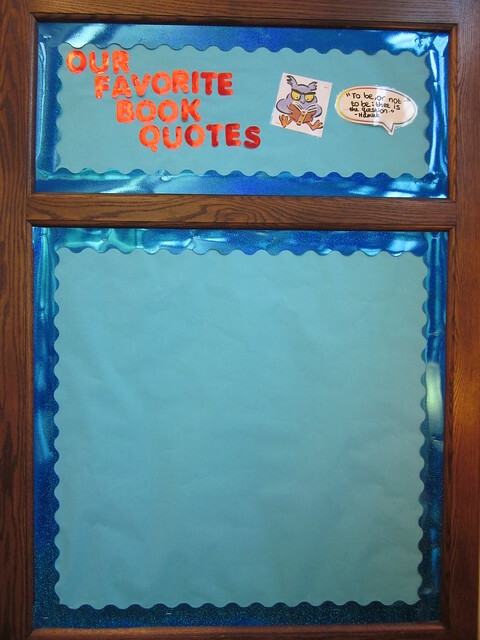 Students will write their favorite book quotes on here. I can't wait to see what they come up with! Just looking at these pictures gets me excited about what this year holds. At the very least I hope I can help convert a few non-readers into book lovers. For all the teachers going back into the classroom or who are already back in the classroom, I hope you have an amazing year filled with productive and engaged students. you have a lovely classroom! 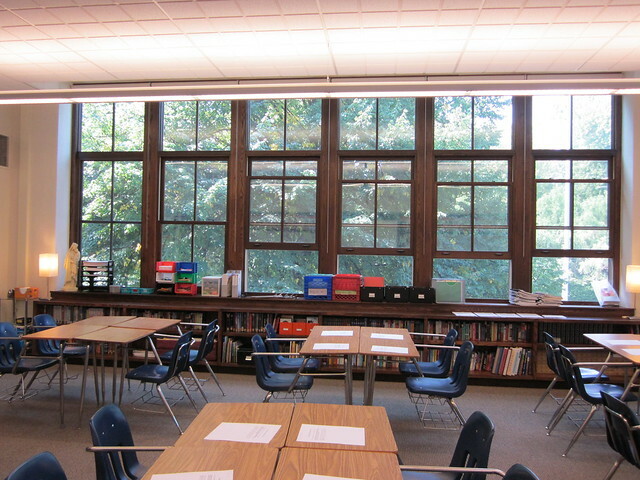 Your classroom is so gorgeous. I love the windows and all that SPACE! It's so big and bright. Very inviting. I hope you and your students have a fabulous year! Wow - I wish my classrooms had looked this fab! 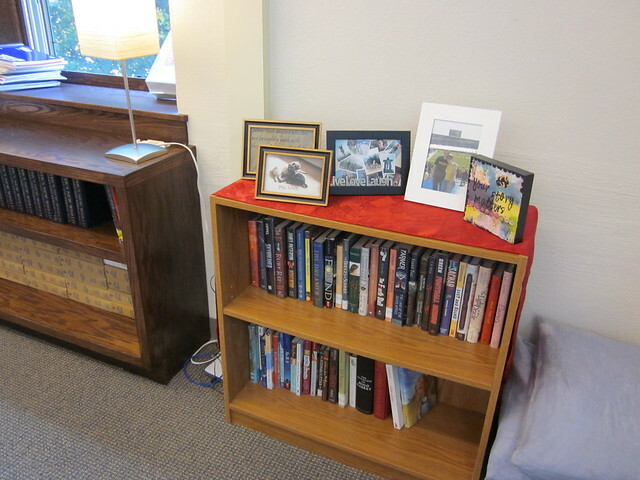 And so full of books! Thanks, Beth, for sharing your classroom with us. What a beautiful place to learn! That classroom looks so cool! I wish classrooms at my school looked like that. We've been back to school since August 11th, so Labor Day just means a three day weekend for us. I also find it weird that the Catholic/private schools in your area go back at different times. Here the Catholic schools start when the public schools do. I used to teach elementary school at a Christian school so these pictures brought back fond memories. You have a great classroom. I now am the primary caregiver for my mother who has Alzheimer's and teach two mornings at a classical tutorial. Awesome! The room looks very inviting. I'm guessing that's very important in a teaching environment to set children at ease and help them learn. 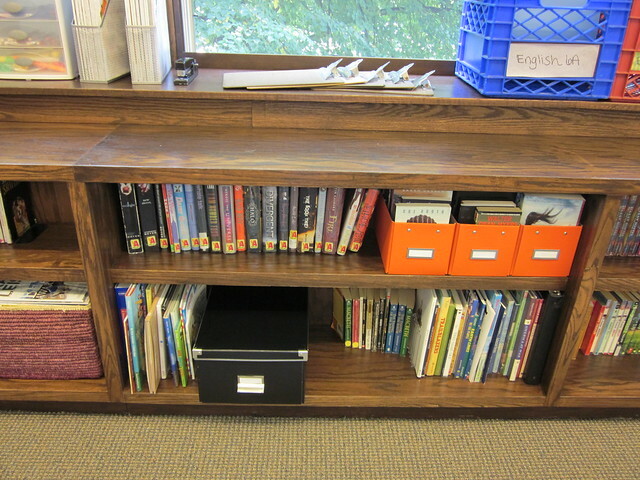 How do you have the books in your classroom library organized? Also, what kind of check-out system do you use? 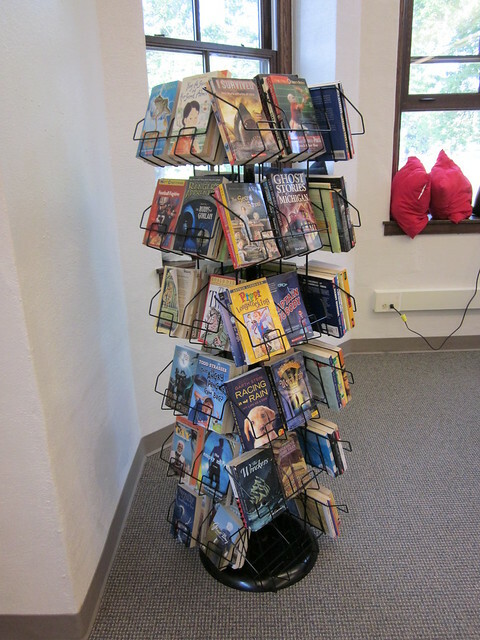 The books are organized by genre. 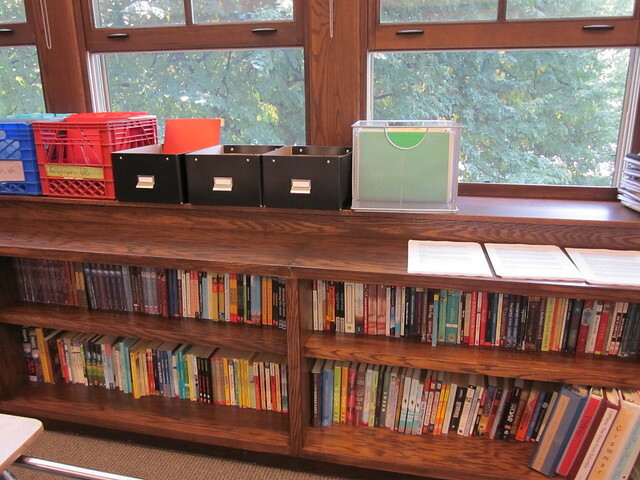 To check out books, each student has an index card with their name on it. Whenever they check out a book, they just indicate the name of the book and the date they checked it out, and then the date they check it back in when they return it.